The network evening newscasts all lead with Donald Trump’s declaration of a “national emergency” — and the potential constitutional implications of that — Thursday, Feb. 14, 2019. 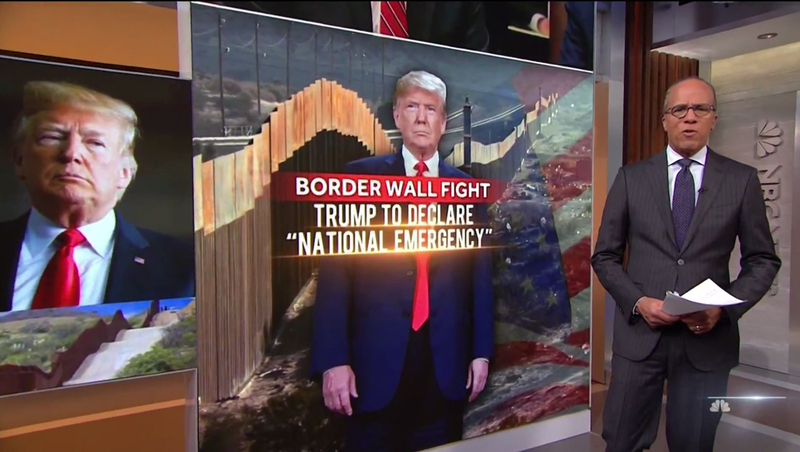 “NBC Nightly News” lead with anchor Lester Holt standing in front of the studio’s video tower with the words “Border Wall Fight” in a red gradient and “Trump to declare ‘national emergency'” under that with gold laser underlines. Imagery of exiting border barriers were also included. 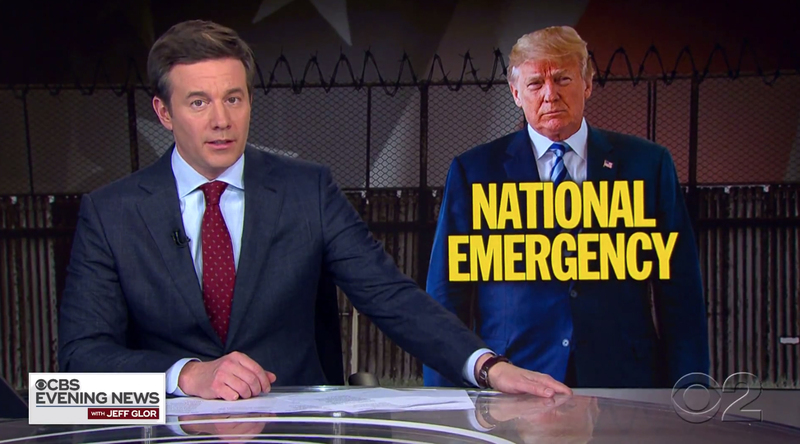 ‘CBS Evening News‘ also lead with the story, featuring the words ‘national emergency’ in yellow over an image of Trump and a combination of fences behind anchor Jeff Glor. 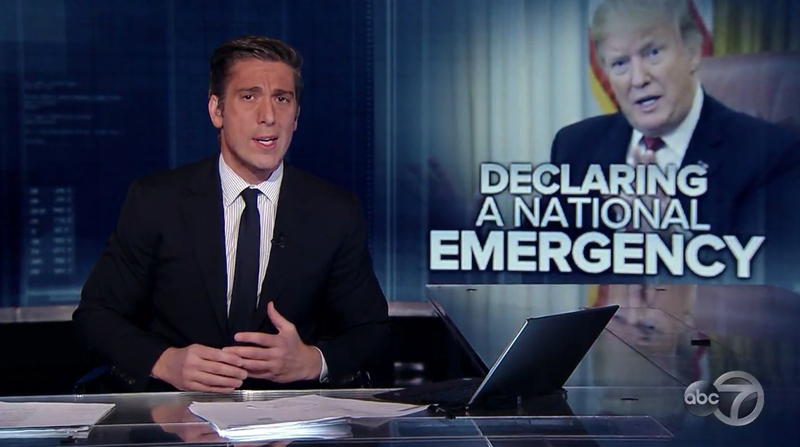 David Muir, anchor of ‘ABC World News Tonight‘ kicked off the broadcast with a video wall graphic reading ‘breaking news’ that changed to ‘declaring a national emergency’ as the camera pushed in. 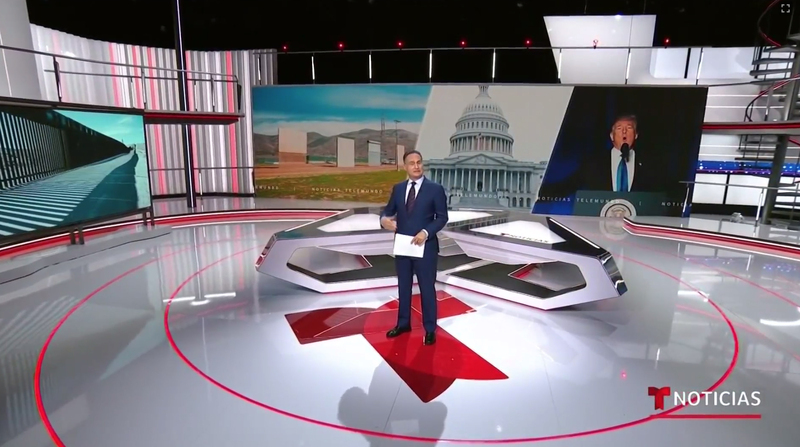 Telemundo, meanwhile, opened ‘Noticias Telemundo‘ with a wide shot of anchor José Díaz-Balart in the middle of its Miami studio, with the set’s main video wall segmented into images of border wall prototypes, the Capitol dome and Trump. 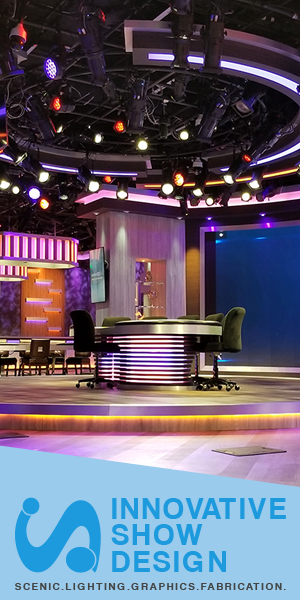 An image of a border fence was shown on the far left video wall.